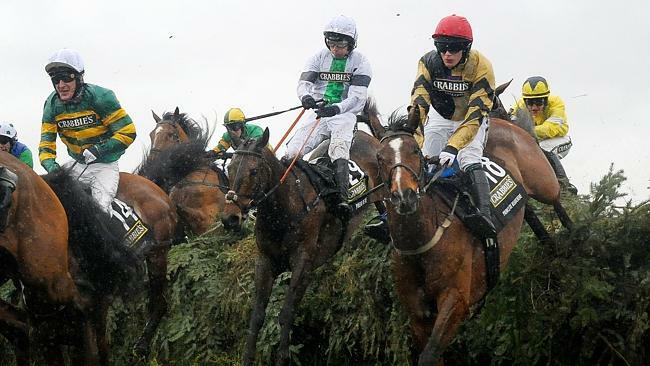 The Grand National is a race that has not been without controversy with many expressing fears and anger about the danger to the horses and riders. I, too, am fearful but our £1 each way bets have been placed – one each for the four of us – myself, husband and two daughters. Youngest daughter is now 21 but still picking her horse by the jockey’s colours – pink and purple. Balthazar King’s jockey was pictured in pink and purple so youngest daughter has him. She has won a few times with her pink and purple colours. Husband has Burton Port as it reminded him of a place in Donegal. I have Big Shu as I had just bought big shoes for some foot comfort. Oldest daughter has Moonbeg Dude picked at random with a pen. We were full of excitement as they set off but, no, it was a false start. Battle Group then refused to start. I find myself yelling at the TV: “Leave him alone, don’t make him go, remember what happened in 2012 when a horse was forced to run”. That horse was Cheltenham Cup Winner ‘Synchronised’. Synchronised fell, suffered a fractured leg and had to be put down. I remembered feeling that the horse sensed danger. “Please leave him alone”, I begged to the TV. Battle Group won his own battle and refused to run. Every year I would say never again, it should be banned. Yet, here I was, back on the edge of my seat with my betting slip gripped tightly in my hand as I listened for our horse’s names. Then it came – Burton Port unseated at the second fence. Big Shu has fallen at the third fence. Moonbeg Dude and Balthazar King were still in the running. Excitement followed our disappointment. Up close on the screen Balthazar’s King’s jockey was wearing red and blue. Cheering loudly and shouting encouragement at the TV screen you would have thought the horses could hear us. Pineau De Re won with our local man Tony McCoy coming home third on Double Seven. Moonbeg Dude came seventh and Balthazar King second so youngest daughter won once again. Thankfully there were no tragedies. The RSPCA were involved in overseeing the race to ensure new safety measures were in place. The Grand National is for everyone. There were sweets in bowls in the bookies. There were families in the bookies. Any horse could win. Pick a colour or put a random dot against a horse’s name. You may get lucky. Despite the concerns, no doubt I will be back again on the edge of my seat next year. Crabbies’s 2014 Grand National can be viewed again here. Premier League 2017/18 Season Review.